We are glad to see you at AllTrainersPC.com! 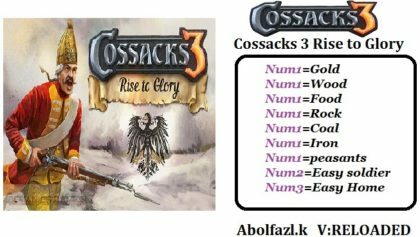 If you want to download Cossacks 3: Rise to Glory Trainer for free, you can do it right on this page! 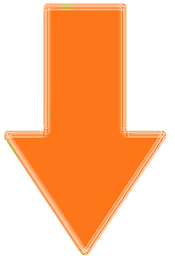 This cheat works on the game version 1.0 and above. Trainer includes 9 different functions, using which you can get a big advantage in the game. 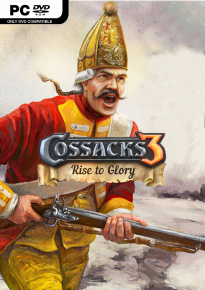 Cossacks 3: Rise to Glory (2017) is a new DLC for popular strategy game developed by GSC Game World for PC. This addon adds two new campaigns (campaign Prussian and Swedish campaign), as well as a lot of new content and new features. So, in the game, new types of units, new Nations, new scenarios and more.